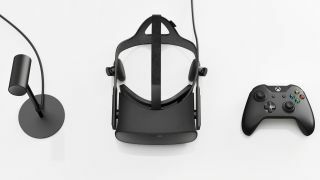 Finalized Oculus Rift hardware has begun shipping meaning Oculus is almost ready to deliver virtual reality headsets to everyone else. Shortly after announcing the news, Oculus CEO Palmer Luckey stated on Twitter: "Thrilled to share some news: Manufacturing continues to go well, and we are still on-target for an awesome Rift launch in Q1!" No specifics have been mentioned and we're not sure if the VR company will announce a final date and price during CES 2016 just yet. However, Luckey also noted that we can expect preorders shortly as well: "Preorders are coming soon after new year. Enjoy a stress-free holiday, we won't launch preorders without warning!"